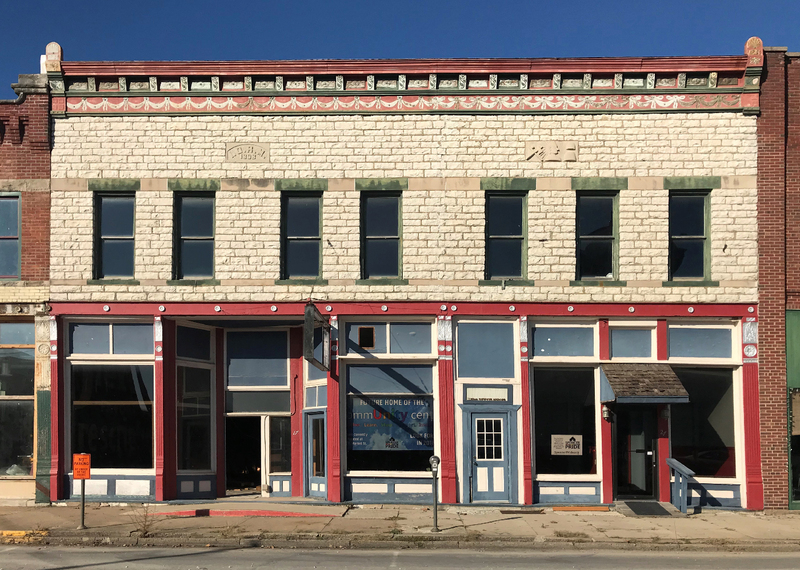 After years of deferred maintenance and underutilization, the historic Improved Order of Red Men Building will soon return to its early role as a hub of activity on Spencer’s courthouse square, thanks to its new owner, Spencer Pride, and support from Indiana Landmarks. 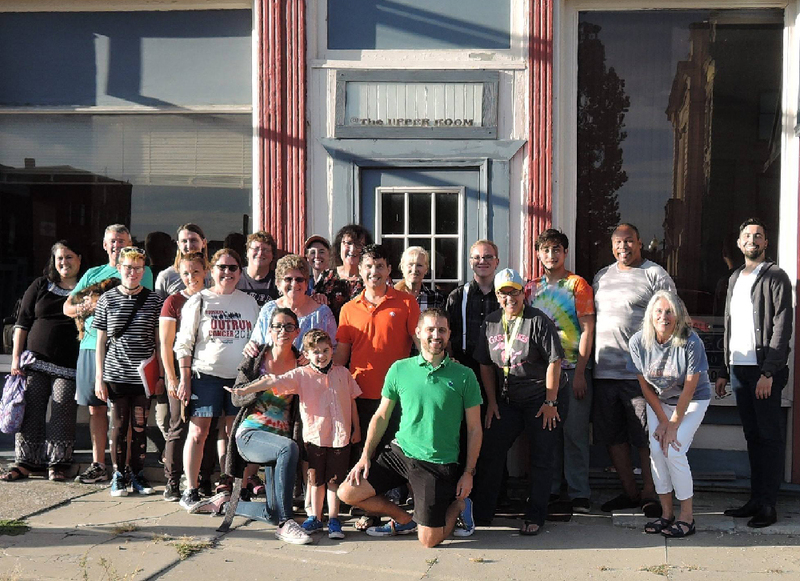 Formed over a decade ago, Spencer Pride works to educate the public about the rural lesbian, gay, bisexual, transgender, queer, and intersex community in south central Indiana by organizing the annual Spencer Pride Festival and other educational events. In 2016, the group began operating an LGBTQI+ center, which serves as its headquarters for meetings and activities, as well as a certified Safe Place and a LGBTQI+ Safe Zone. 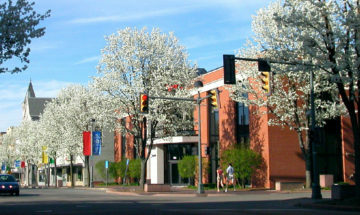 The Spencer Pride commUnity Center also houses Unity, a distinctive retail shop. With Spencer Pride’s growth and the quick success of Unity, the group needed a larger facility. It found the perfect place on the opposite side of the Owen County courthouse square. Constructed in 1898, the Improved Order of Red Men building remains remarkably intact, with a decorative cast-iron storefront and pressed metal cornice. 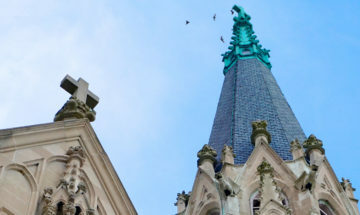 But the building’s most distinguishing feature is the second-story façade of rough-hewn St. Genevieve limestone, a locally quarried stone of a light — almost white — color, used in prominent Spencer buildings during the late-nineteenth and early-twentieth centuries. Two stone tablets set into the upper façade read “I.O.R.M. 1898” and depict symbols of the fraternal order. Although it is structurally sound, the Improved Order of Red Men building shows the effects of benign neglect. 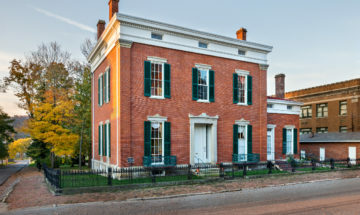 With a $2,500 grant from Indiana Landmarks’ Efroymson Family Endangered Places Fund, Spencer Pride hired Springpoint Architects, a Bloomington-based firm with preservation experience, to assess the building’s condition, offer recommendations for repairs, and guide Spencer Pride through a phased rehabilitation of the group’s new home. In addition to a larger meeting space and expanded retail area for Unity, Spencer Pride intends to establish the Gathering Place, a safe and comfortable hangout for its youth group and community residents. The second floor will eventually house four affordable apartments. Learn more about Spencer Pride and follow progress on the rehabilitation of its new commUnity Center at www.SpencerPride.org. For more information about the Efroymson Family Endangered Places Grants, contact our Western Regional Office, 812-232-4534, west@indianalandmarks.org.